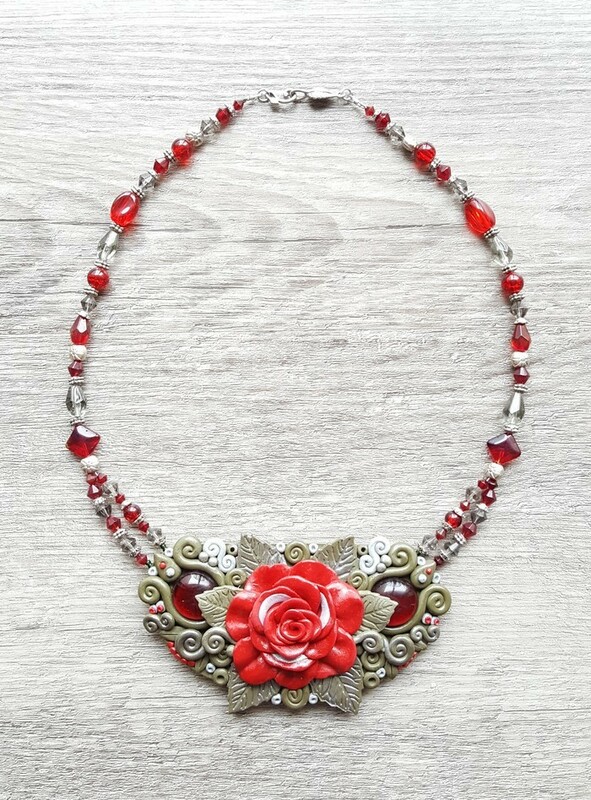 This Romantic hand made polymer clay necklace is a stunning design with a red rose focal point on a detailed khaki background inset with glass stones and silver accents. It is strung with beautifully matching glass beads and is 52 cm in diameter. The main clayed piece measures 11cm x 6cm.